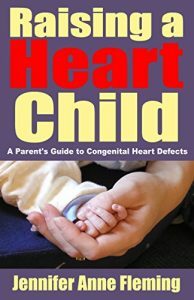 Provides definitive answers from leading medical experts to parents’ concerns about congenital heart defects, discussing the various types of problems, their causes and long-term prognoses, the various treatment options available, and what parents can do to help their children. 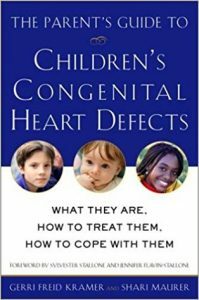 The devastating words Congenital Heart Defect thrust parents of more than 36,000 children annually into a frightening, dark tunnel dramatically changing family dynamics. 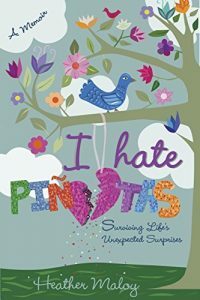 Because CHD, attacks unexpectedly, parents reel, bombarded with information regarding treatments, tests, and decisions. 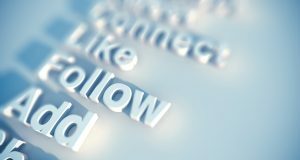 From the initial diagnosis and throughout the daunting journey, the twelve chapters and resources in this guide weave advice, support, and hope. 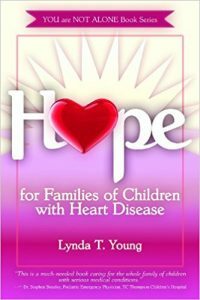 Essentially a field guide for parents and grandparents of children facing congenital heart defects (CHD), this book chronicles the real-life experiences of my own heart child. Every test, every surgery, every victory that led him to today is offered in painstaking detail. Today he is a beautiful, intelligent, normal child. 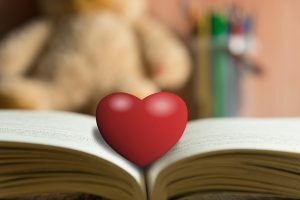 May his story bring hope to you and the child in your life who battles CHD Heart of a Child – beneficial for parents of children with complex congenital heart defects. 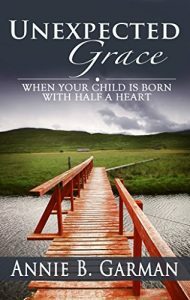 Unexpected Grace is the story of one anxious mother whose biggest fear came true in the ultrasound room. 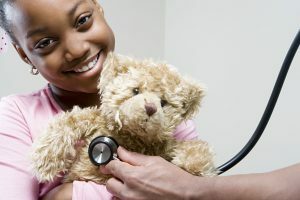 Living in Reykjavik, Iceland, Annie and her family were suddenly thrust into the world of congenital heart defects when they heard their child’s diagnosis. 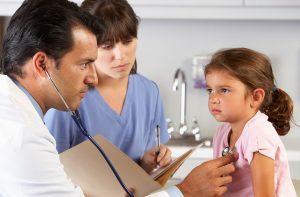 Would God heal their child? Was God good? Was He just? Could He be trusted regardless of what happened to their daughter?